The Poetical Works of Longfellow, Volume II: Houghton Mifflin, 1882. Winner takes all. To enter, comment in this thread, comment on Facebook, or reply on Twitter. I was going to announce the winner today, but I will wait until Monday to let things circulate and give you all a chance to enter. I will announce the winner at 5:00 PM on Monday, so that should be enough time. Good luck. 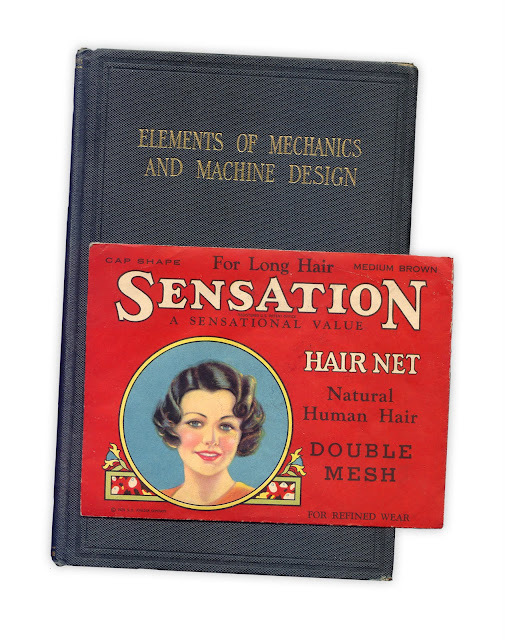 Sensation brand hair net, made from natural medium brown human hair. Found in "Elements of Mechanics and Machine Design" by Erik Oberg. Published by The Industrial Press, 1923. 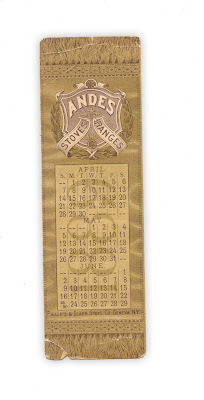 Bookmark with three month calendar from 1889 advertising Andes Stoves and Ranges, made by the Phillips & Clark Stove Co., Geneva NY. Found in "Contemporary Art In Europe" by S.G.W. Benjamin. 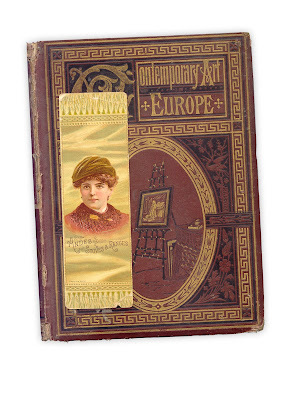 Published by Harper and Brothers, 1877. 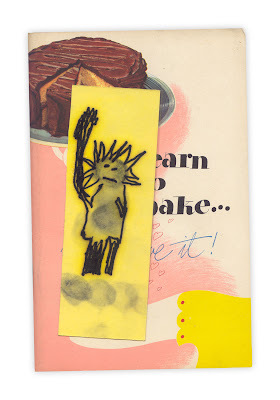 Homemade laminated bookmark featuring the Statue of Liberty. Found in "Learn To Bake... You'll Love It1" published by General Foods Corp., 1947. 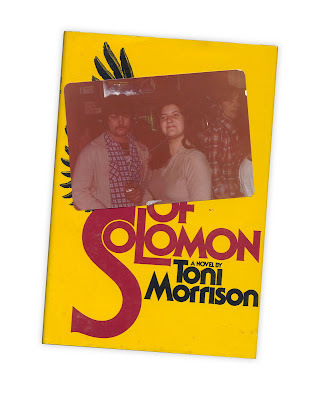 Found in "Song of Solomon" by Toni Morrison. Published by Alfred A. Knopf, 1977. 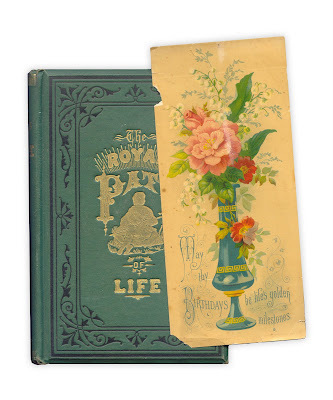 A few weeks ago, I found a "baby book" from 1926. It's one of those books where you can write down your baby's weight and height and first gifts, things like that. It seemed like something I'd want to have if it was mine, so ...I tried to find the original owner. With the help of Twitter, and @geneabloggers in particular, I was able to track down a cousin who came to the bookstore to pick up the book. Check out the full story on the Destination: Austin Family blog, it's a good one. Today's post comes from one our readers. Are there are any fans of Mad Men amongst the Forgotten Bookmarks followers? Published in 1960, the same year that Mad Men's story begins, this cover bears a striking resemblance to the opening credits of the series. 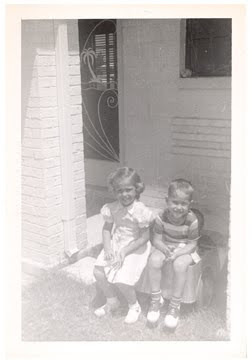 Inside, was a black and white photo of two children (a real "Sally" and "Bobby")? 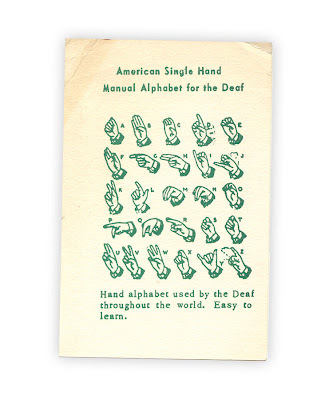 This was found in the donations box at my mother's assisted living facility." 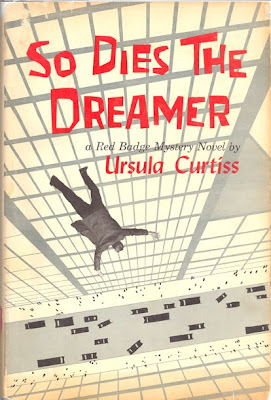 So Dies The Dreamer, a Red Badge Mystery Novel by Ursula Curtiss. Published by Dodd, Mead & Co., New York, 1960. 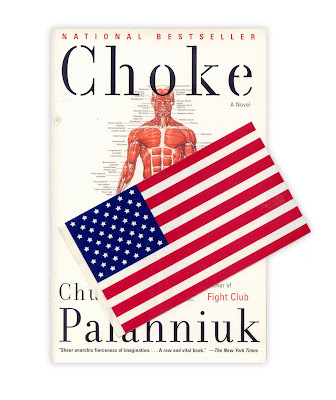 Found in "Choke" by Chuck Palahniuk. Published by Anchor Books, 2001. 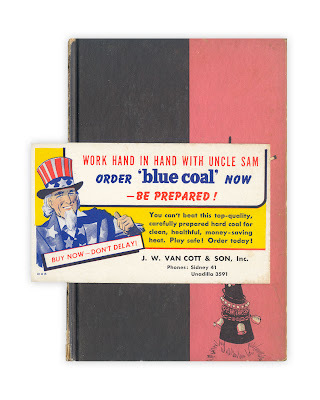 Advertising card for "Blue Coal" via J.W. Van Cott & Sons, Unadilla NY. Found in "Auntie Mame" by Patrick Dennis. Published by Vanguard, 1955. 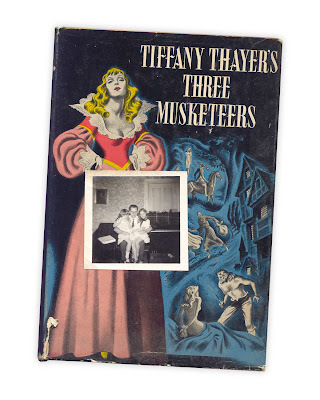 Found in "Tiffany Thayer's Three Musketeers" published by The Citadel Press, 1942. 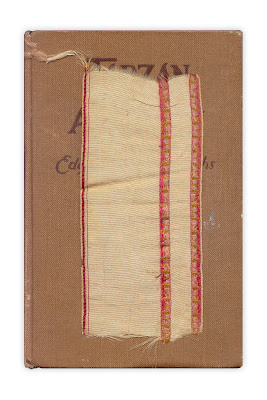 Simple cloth bookmark, or Tarzan's loin cloth. Found in "Tarzan and the Ant Men" by Edgar Rice Burroughs. Published by A.C. McClurg, 1924. 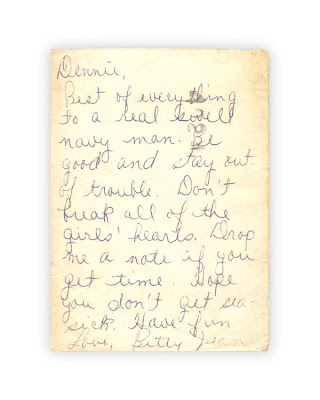 Best of everything to a real navy man. Be good and stay out of trouble. Don't break all of the girl's hearts. 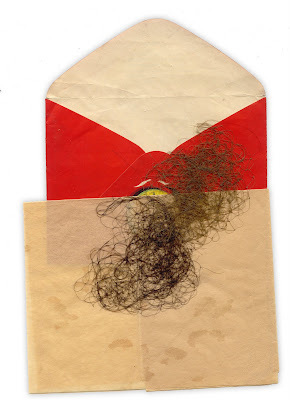 Drop me a note if you get time. Hope you don't get seasick. Have fun. 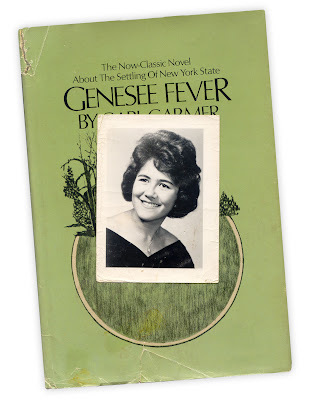 Found in "Genesse Fever" by Carl Carmer. Published by McKay, 1971. 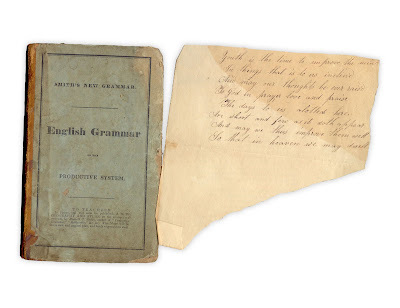 Found in "English Grammar on the Productive System" by Roswell C. Smith. Published by William Marshall and Co., Philadelphia, 1835. 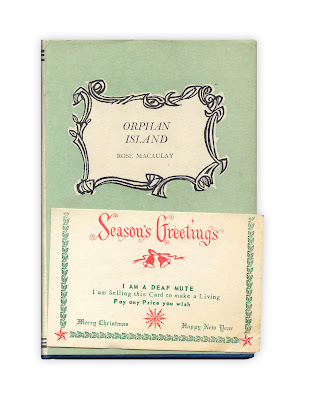 Found in "Orphan Island" by Rose Macaulay. Published by The Holiday Library, 1951. 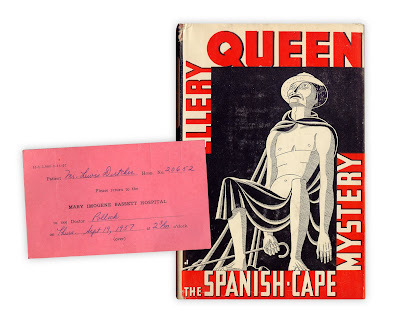 Found in "The Spanish-Cape Mystery" by Ellery Queen. Published by Triangle Books, 1939. People of SUCO, and all other people who value their Liberty! A rally will be held on Monday, February 25th at 8:00 PM in the College Union Ballroom. The purpose of this rally is to DETHRONE KING RICHARD NIXON!!! Our land is once again afoul with Tories who would keep the people in chains in order to increase their profits at the expense of our liberties. King Richard is but the monarch (and somewhat of a figurehead at that) at the head of this Corporate Dictatorship. 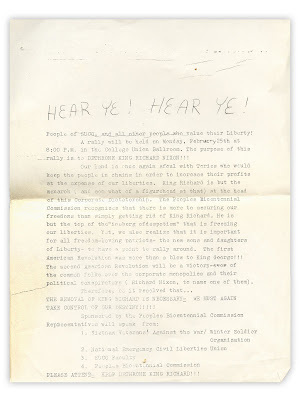 The People's Bicentennial Commission recognize that there is more to securing our freedoms than simply getting rid of King Richard. He is but the top of the "iceberg of despotism" that is freezing our liberties. Yet, we also realize that it is important for all freedom-loving patriots - the new sons and daughters of Liberty - to have a point to rally around. The first American Revolution was more than a blow to King George!!! The second American Revolution will be a victory over of the common folks over the corporate monopolies and their political conspirators (Richard Nixon, to name one of them). THE REMOVAL OF KING RICHARD IS NECESSARY - WE MUST AGAIN TAKE CONTROL OF OUR DESTINY!!!!! 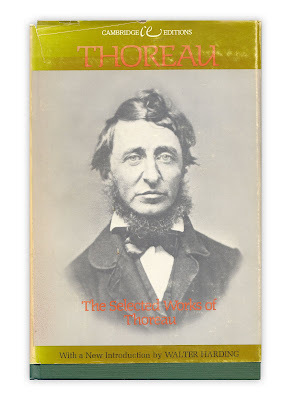 Found in "The Selected Works of Thoreau: Cambridge Edition." 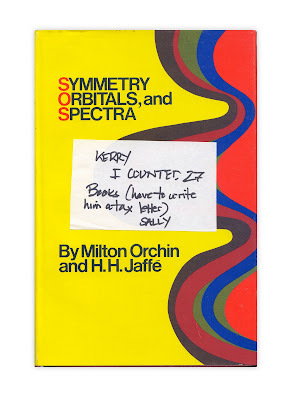 Published by by Houghton Mifflin, 1975. 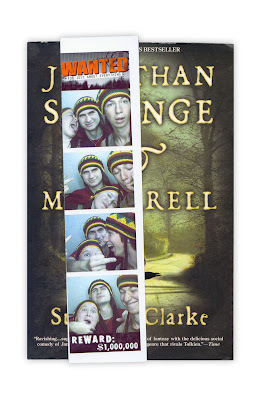 Found in "Jonathan Strange and Mr. Norrell" by Susanna Clarke. Published by Bloosbury, 2004.